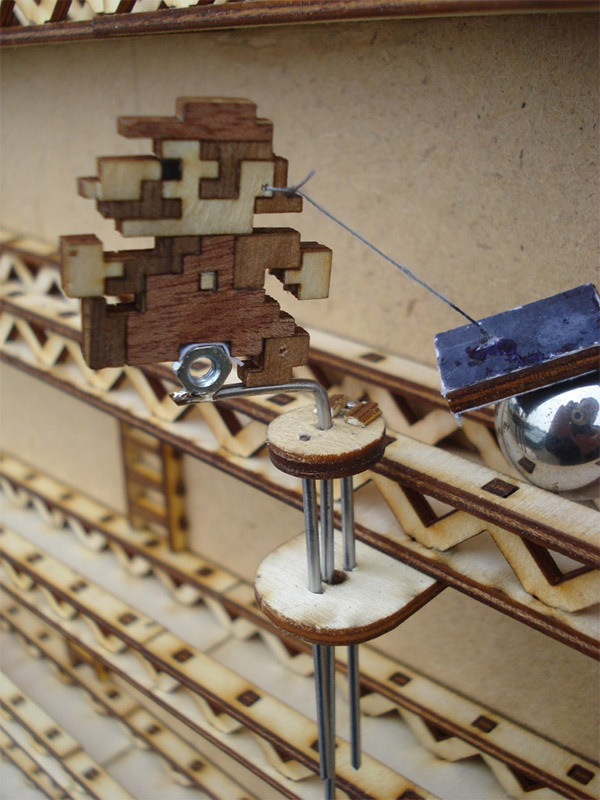 Mechanical Donkey Kong: How Real Can You Get? We’ve featured some mechanical versions of arcade games in the past, but I think this is my new favorite. That’s because this real-world version of Donkey Kong is actually controlled by an NES gamepad. That just makes it that much more awesome. 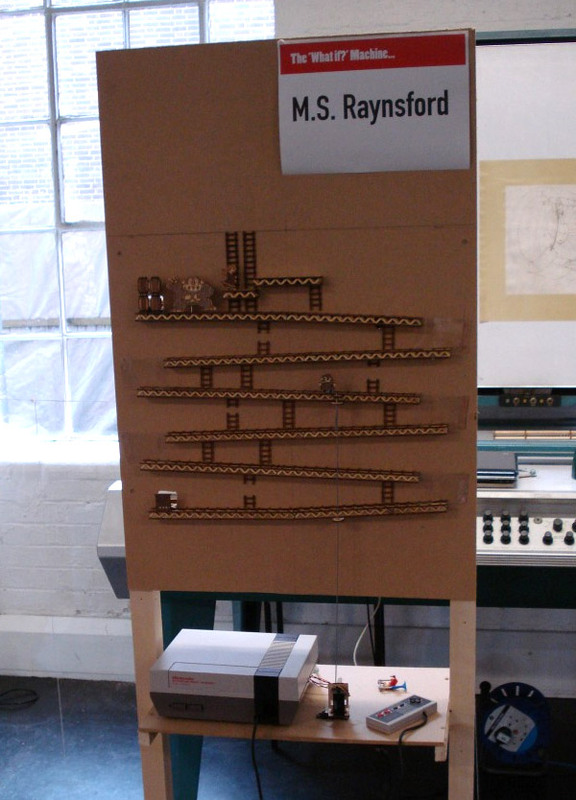 Builder Martin Raynsford built this Arduino-controlled analog version of the arcade classic using a bunch of laser-cut wood parts, and a mechanism that fires a barrage of ball bearings down the ramps in lieu of tiny flaming barrels. And since the balls are magnetic, they stop Jumpman in his tracks if he fails to jump over them. As you can see in the video clip below, the game is still a work-in-progress, as Jumpman is just hanging out in the middle of the game field and can’t really move around yet. But Raynford’s goal is to make the game fully-functional with time, and I’m looking forward to seeing the finished product, which he plans on showing off at next year’s UK Maker Faire. I’m curious to know how he’ll pull off the barrel-smashing sledgehammer. You can check out more details of the build and mechanism over on Martin’s blog.